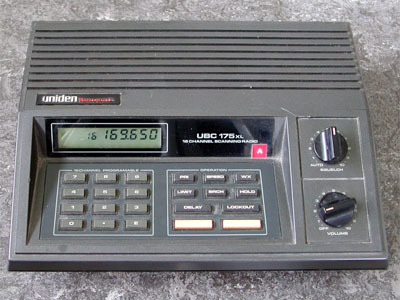 Adding a discriminator output to the Uniden Bearcat 175XL is relatively easy. 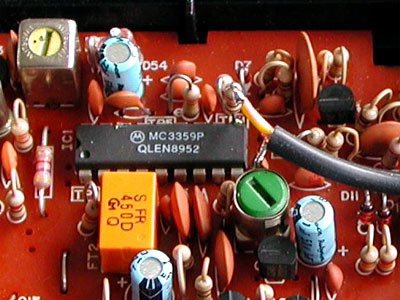 The receiver IC is a dual in line (DIL) type. It's a MC3359, with the unfiltered audio at pin 10. 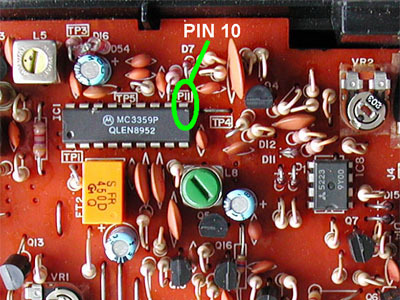 A 10 k resistor is soldered vertically to pin 10 of the MC3359. Pin 10 is on one of the corners of the IC. 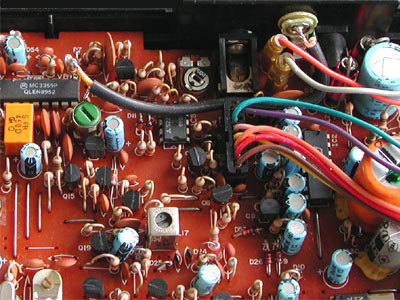 The core of a small strand of shielded wire is soldered to the resistor's other lead. Its braid is soldered to the metal shield of the coil with the green core nearby. A 3.5 mm chassis terminal is mounted in the back of the scanner, e.g. above and between the earphone and DC connectors. The chassis terminal is connected to the shielded wire.